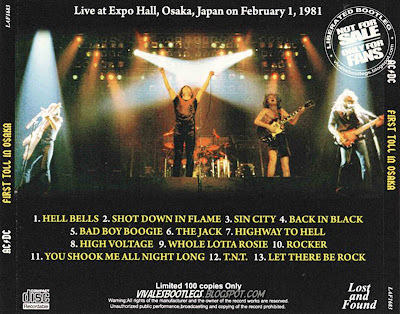 Recorded Live at Expo Hall, Osaka, Japan - February 1 1981 . Very Good+ Audience Recording :: Japanese PRO CD-R :: Lossless FLAC. Files: 13.:: Size: 412.85 MB (flac). 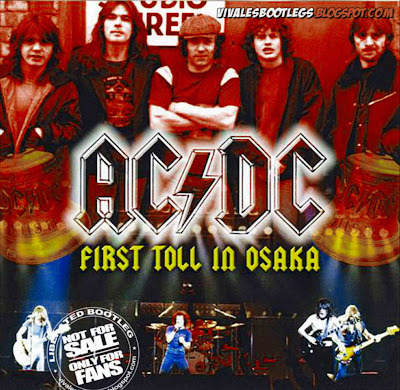 Personnel: Brian Johnson – lead vocals, Angus Young – lead guitar, Malcolm Young – rhythm guitar, backing vocals, Cliff Williams – bass guitar, backing vocals, Phil Rudd – drums . Soundquality: I´d rate this one 8,5 out of 10.<Info taken from original .nfo file>.